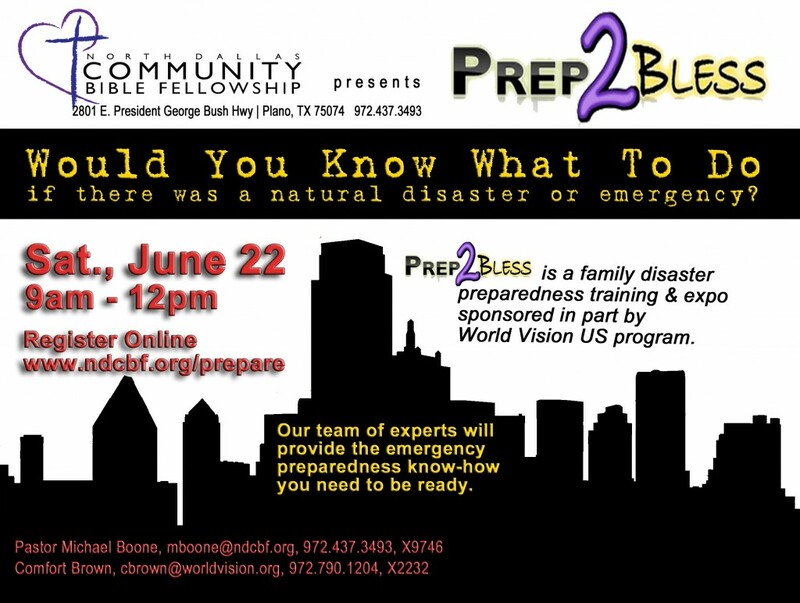 Prep2Bless and World Vision offer free Family Emergency Preparedness Training June 22 for North Texas Families with workshops, experts and demos for whole family that will teach how to build a 72 hr. 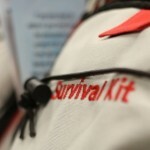 Emergency kit, get advanced training and find ways to volunteer. "Emergency Prep is more than option, it is essential for the well-being of every family." 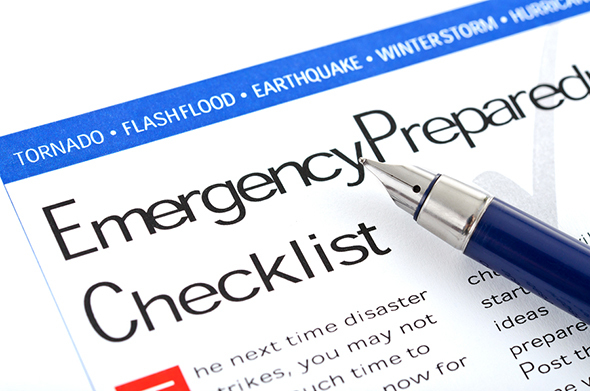 People recognize that Emergency Prep is important but most don’t know where or how to begin. Global weather related disasters have quadrupled since 1980, states an Oxfam study. * Closer to home, Texas has endured more disasters than any other state. On June 22, North Texas families can get information to help prepare for potential disasters and emergencies. Prep2Bless is a Family Emergency Preparedness Training and Expo that is free with registration. The Saturday event will run from 9:00 AM to 12:30 PM in Plano at North Dallas Community Bible Fellowship. (To Register and watch video invitation from Pastor Smith) Children and Youth will have their own classes and training activities. The Prep2Bless attendees will attend a general training session and workshops including – KnoWhat2Do Tornado Prep , Family Plan 1-2-3, Building an Emergency Kit, Help, NO Power!, Shooter in the Building, Food and Water Storage, Caring for Elderly/Special Needs During Emergencies, Gardening in the City, HAM Radio, Community Involvement, Volunteer Opportunities, First Aid and more! Local and regional Emergency Preparedness experts will provide materials, training and answer questions, including: Plano Police, Fire and Department of Emergency Management, World Vision, Dallas County Human Health Services, Red Cross, Collin County Medical Reserve Corp, CERT, Victim Relief Ministries and others. The increase in natural disasters, hurricanes, earthquakes and terrorist events, has made “prepping” a top of mind issue. On Saturday, June 22 from 9:00-12:30, Prep2Bless provides families and faith based communities with emergency prep training and instruction to build a 72 hr.-emergency backpack and more. For information on Prep2Bless, visit http://www.Prep2Bless.com, to register at NDCBF online. No charge for the event but registration required as seating and materials are limited. For information, Prep2Bless(at)gmail(dot)com or 972 957-7371 or 972 95PREP1.